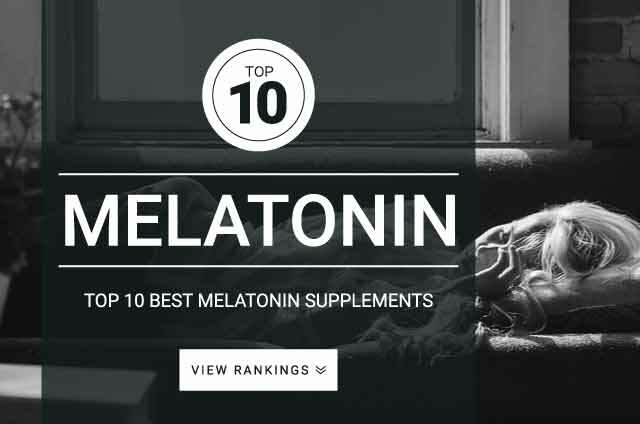 Onlinestrength analyzed 10 best-selling Melatonin supplements in the United States, measuring levels melatonin (N-Acetyl-5-Methoxytryptamine) as well as any heavy metal contaminants. Melatonin supplements can be sourced from plant, animal, or synthetic sources. Synthetic or plant based sources are considered to be the healthiest supplements to take. Melatonin can be found in several forms — liquid, lozenges, tablets, capsules, and softgels. Meltaonin acts fairly quickly and should be taken in small doses (1mg) if its your first time. Supplementation of melatonin can help you normalize your irregular sleep patterns and help you fall asleep. Melatonin plays a role in regulating the body’s natural wake-sleep cyclone called the circadian rhythm. Melatonin starts to naturally increase in the body when light exposure decreases, and decreases the light exposure increases. Similar to when the sun sets we often start to feel tired as our bodies prepare for sleep. In recent years the light coming from cell phones, tv screens, laptops, and computers cause our bodies to get confused and limits the amount of melatonin release, causing poor sleep quality and patterns. Melatonin can be used as a treatment for people who may have ruined a natural sleep cycle and are looking to bring order to the chaos they may have caused themselves. Melatonin is not addictive and is best used in small doses (up to 1mg) for first time users. Aside from just helping you fall asleep faster, melatonin supplementation can also benefit eye health, and improve energy levels (caused by improved sleep cycle). Melatonin is best taken at a time where your full focus and attention to detail is not required. Best to take closer to sleeping hours. Melatonin does not further improve good quality sleep; however, melatonin can help improve poor quality sleep. Melatonin Dosage: Below are the dosage ranges used in clinical trails. Starting with the lowest possible amount is advised when first taking melatonin. For some people, as little as 0.5 mg may be sufficient to aid sleep onset. Standard Melatonin Dosage: .5 mg – 5 ,000 mg . Start with smallest dosage first and work up to higher doses until you find what works best for you. To aid in falling asleep: 2,000 – 3,000 mg of melatonin 30 – 60 minutes before laying down for sleep. Again, recommendations stat to start with .5 mg and work your way up as you find what works best for your body. Jet Lag: .5 mg – 5 mg taken for four days prior to traveling to help counter insomnia after long flights. Studies state that dosages less than 2 mg may not be as effective at combating jet lag. irritable bowel syndrome: 3 mg of melatonin before laying down for bedtime.